Is It Worth It to Purchase Insurance When I Ship My Works of Art? You are fond of collecting and see the prospect for growth of your artworks? Or you are interested in antiques and think that art is a good way to invest money? Or maybe you do not buy and, on the contrary, sell works of art as a gallery owner or an art dealer? This means that your home, office, or workshop is full of cultural values that are often much more valuable than money and jewels. Works of art, antiques, and other collectibles – all of them are property, the high cost of which is primarily determined by its cultural, historical, or memorial significance. In this way, the responsibility for its loss or damage is also huge. Therefore, you probably think about how to secure your own precious artworks and to protect yourself from the risk of losing the funds invested in the collection or the risk of damage of other people’s belongings that you have in the temporary possession, especially when it comes to local or international transportation? As experienced fine art shippers, art handlers, and art dealers, we strongly recommend our clients to use art shipping insurance during transportation and storage of their fine art pieces. other collectibles that are not works of art, but still have scientific, historical, ethnographic, archeological, memorial, artistic, or any other cultural value. Moreover, insurance coverage can be provided for the whole process of art shipping, as well as for the certain period, like packing/unpacking, loading/unloading, temporary storage, and exhibiting. 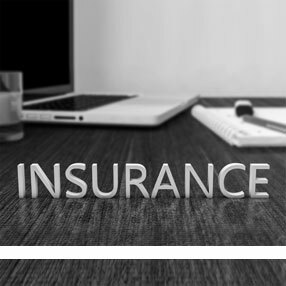 In this way, there are many options of fine art insurance, so you can choose the most appropriate one for the safe transportation of your precious possessions.